What does it mean to be a strong man? That’s the question Jackson Katz — a renowned educator, author, filmmaker, cultural theorist and pioneering activist on issues of gender, race and violence — is asking Spokane. 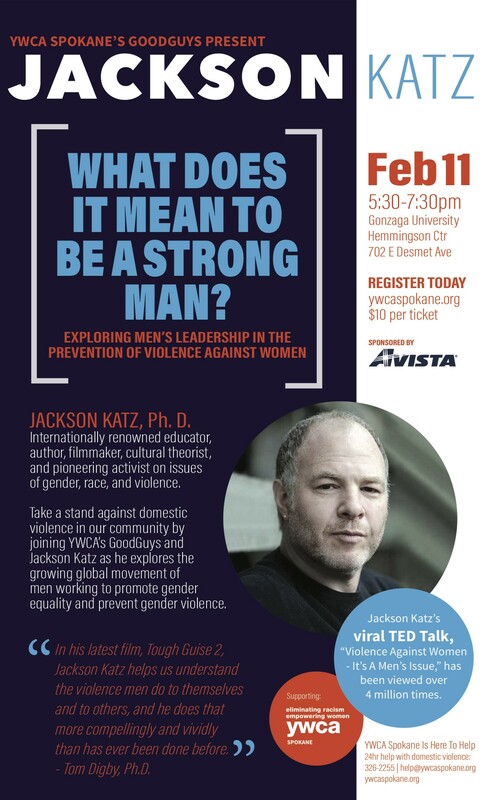 Presented by YWCA of Spokane’s GoodGuys, Katz explores the growing global movement of men working to promote gender equality and prevent gender violence. GoodGuys was created in 2015 by co-founders Doug Kelley and Manny Hochheimer as long-time YWCA supporters. After becoming aware of the area’s domestic violence statistics, Kelley and Hochheimer began working to make the problem a community issue, not solely a women’s issue.